Ripple’s University Blockchain Research Initiative (UBRI) continues to grow. Launched in June of 2018, Ripple’s global initiative now supports 29 academic partners to further accelerate academic research and development in blockchain, cryptocurrency, and digital payments. 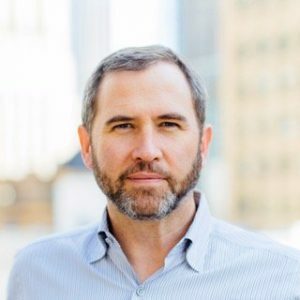 Ripple has committed $50 million to the project. Partner universities will utilize UBRI resources to develop curricula, host conferences and award scholarships to faculty and students pursuing work in blockchain. Ripple believes that similar to the early days of the internet, academic institutions are expected to serve as a major source of innovation as blockchain and cryptocurrency technologies. “In less than a year, our initial UBRI partners hit the ground running with the launch of new research projects, events, course offerings and more. Expanding the ecosystem to a more global, diversified network of UBRI partners will only continue to enrich these projects,” stated Eric van Miltenburg, SVP of Global Operations at Ripple. Laura Tyson, Faculty Director at Berkeley Haas Blockchain Initiative, said they were excited by the momentum in the UBRI Partnership. By market cap, Ripple is one of the largest cryptocurrencies in the world. Ripple seeks to provide an effective method of transfers similar, but superior to, SWIFT. While not without its critics and challenges, what Ripple has is a significant war chest. Ripple has plenty of fiat currency via its sale of XRP to fund beneficial research.